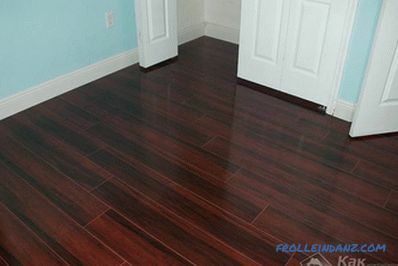 A quality laminate flooring along with a good door has been serving for several decades. The color of the coating should be chosen so that changes in interior design do not affect the harmony in the room. The final result is largely influenced by sunlight penetrating through the windows, climatic conditions, and the position of the room. 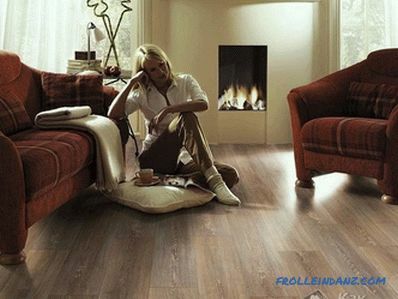 We offer to learn how to choose the color of the laminate correctly. A light beige neutral palette. Palette of warm yellow-red shades. The color of the stained wood is black. Combination of a pair of shades. The glossy surface of the laminate and the doors will add solemnity to the room, so it will not fit into the interior of the rooms where peace and comfort should prevail. These include bedrooms and an office. 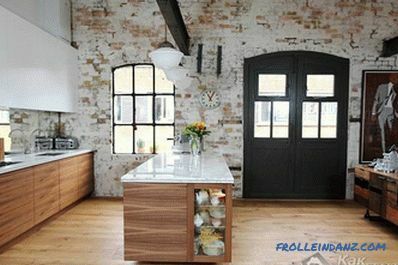 It looks more harmonious matte floor surface and doors. B Depending on the color combination in the room creates a certain atmosphere. In addition, color can create an individual style. A successful color palette is formed only in the case of color balance. There is no wrong color, there is only an unfortunate combination. If you chose a dark laminate color, then you can purchase a door of cool gray tint to it. To achieve harmony in this case, buy a baseboard that would match the color of the interior door. Can't figure out how to choose the color of the laminate? Then stop at the warm pastel-beige tones of the coating. Such colors include light alder, light oak, honey birch and ash. This palette is perfectly combined with any design of walls and ceilings. Light shades embody optimism and carelessness. Among them are ash, acacia, oak and maple wood. A bright palette allows you to change the color of walls and furniture if you wish. 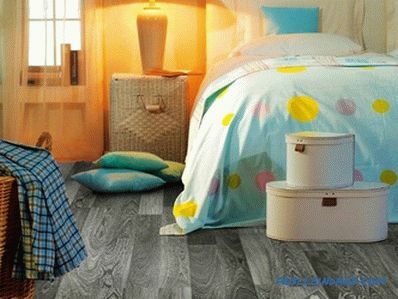 Laminate unpretentious, it is easy to keep clean during operation. 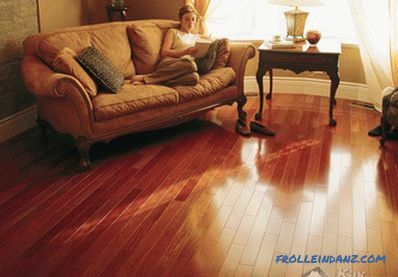 On the neutral color of floorboards imperceptible mote, stains after washing the surface and scratches. 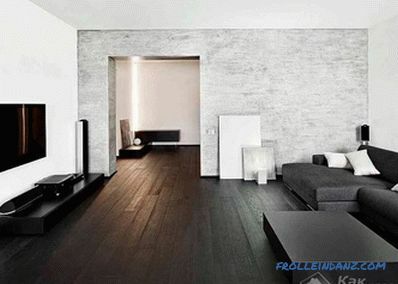 The laminate of a light beige palette will look strictly, but at the same time very cozy with white and black color. To fill the room with sunlight and warmth, combine beige and yellow tones. To give the room brightness can be a combination of beige and dark red colors. To give it nobility and severity, combine beige and brown. If you decide to choose Doors under the red laminate, then you should know that this color does not fit well with other shades. For example, it is not combined with dark doors. 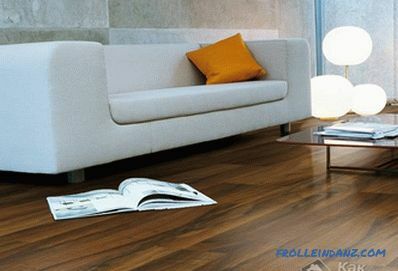 Ginger laminate is laid only when the interior will remain the same for a long time. It is unacceptable to even change the furniture. 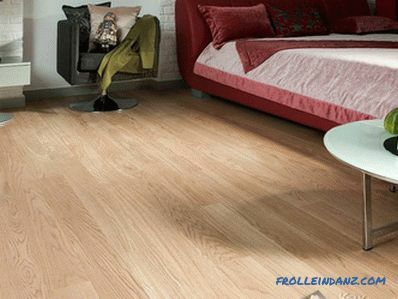 Laminate with the texture of cherry and milanese walnut is perfectly combined with all autumn shades. The brighter the orange shade, the more carefully you need to select the color palette of furniture, walls and ceiling in the room. 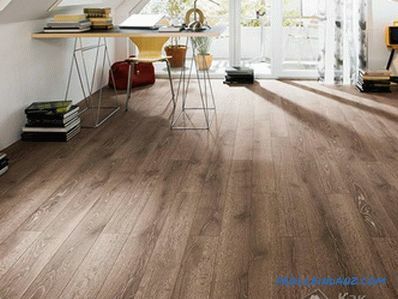 The texture of the floor of merbau and cherry creates a warm and cozy atmosphere. These shades look good with the colonial style of furniture. light milky white and cream colors. 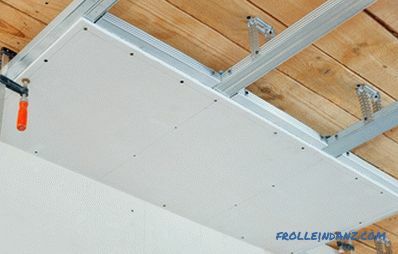 The ceiling and walls against the white floor should look harmonious . And for this you should choose a decor in classic and vintage styles. 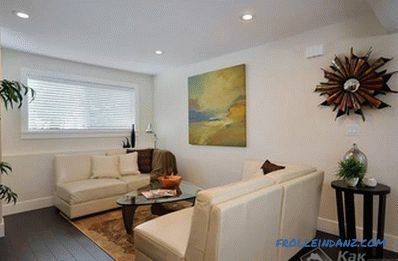 White laminate looks great when you decorate a room in minimalism style. In this case, the color of the laminate and doors must be identical. 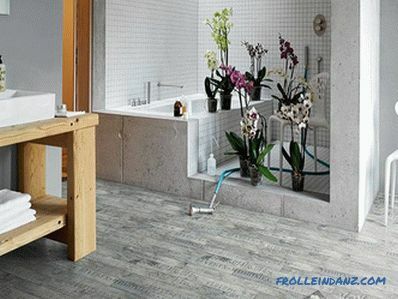 Although the contrast often looks very attractive, you should not experiment with white flooring. Although white is considered universal, it can break the unity of the design concept. If your room has white windows and decorative elements, then the doors, respectively, should be of the same color. In this case, white laminate will not be in harmony with the overall design of the room. Choose a neutral coating color. If you do not have a subtle designer taste, then Do not combine a white door with a dark laminate - there is a high risk of making a mistake in choosing the right shade and texture. 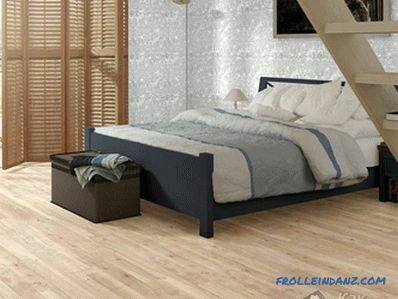 The white floor is laid in a modern and minimalist style. 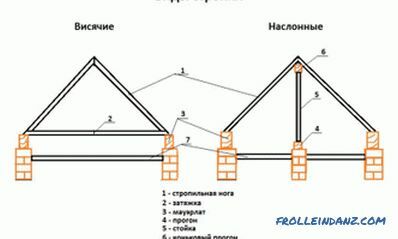 It is associated with purity and conciseness, visually enlarges the room and gives it brightness. The combination of green and white will give the room freshness, creating an atmosphere of peace. It is ideal for rest rooms. If you want to create an impression of elegance and concise luxury, then combine the white floor with purple walls. Such a decision will be progressive. To create a light, gentle and optimistic atmosphere, make a white floor, combining it with crimson walls. White with blue is perfect for decoration of small rooms. 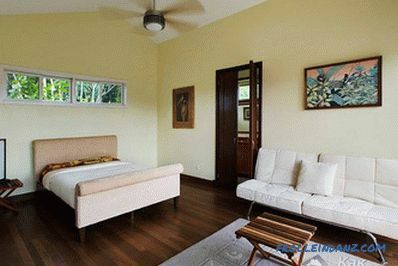 This way you can give the room some lightness and freshness. 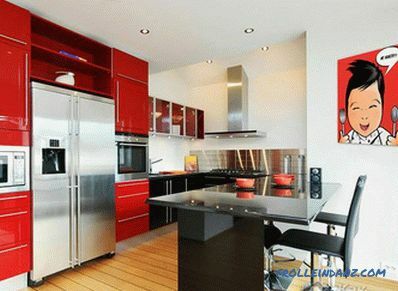 The combination of red and white color will visually enlarge the room. Such a contrast looks best in the children's and living rooms, as well as in the kitchen. The classic style will be maintained with a combination of white and yellow colors, which will add to the room of light and purity. High-tech styles and minimalism are unthinkable without a contrasting combination of white and black colors. A combination of white and black will give the room respectability. The main condition for the design is that one color does not prevail over another. 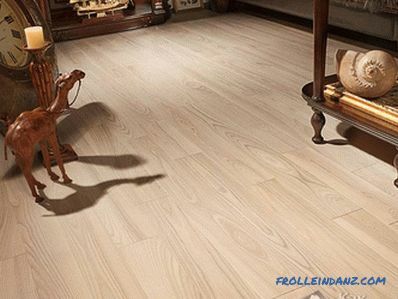 The most attractive will be the dark floor of such wood species as brown wenge, dark stained oak and chestnut. Dark shades do not tolerate contrast in the decoration of door and window openings. 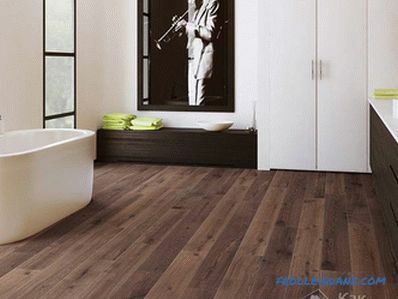 The embodiment of elegance and luxury is the black floor. It does not match any color. 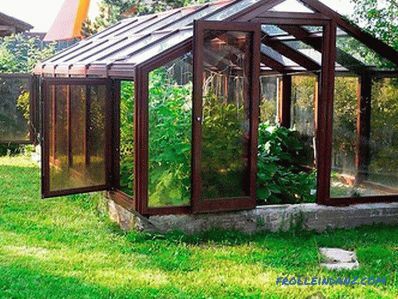 It needs to be carefully combined with materials with a warm color palette. Black is used to decorate the modern interior. It is considered a symbol of prestige and wealth. With the help of yellow and black colors, you can create a frivolous design. 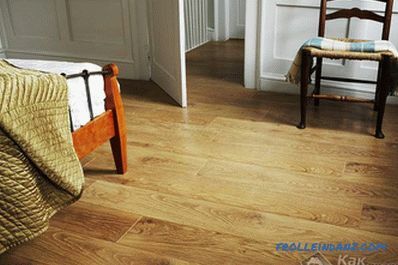 The brown floor is great for country style. 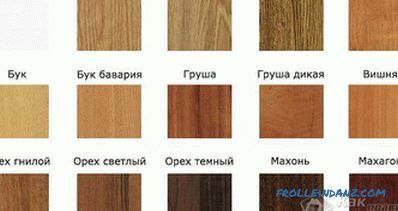 Brown laminate can be called universal. 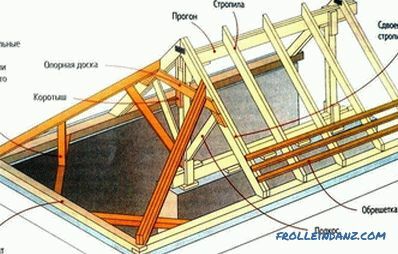 But it will harmoniously fit only into the interior of rooms, which are well illuminated by sunlight. The brown floor looks good with yellow, green, cream and beige colors. 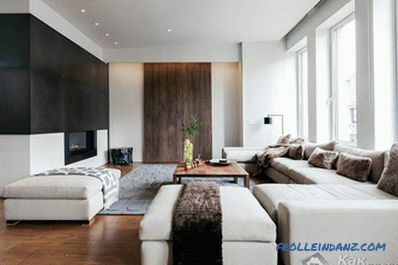 You should not combine brown and black, because this way you will create a dark atmosphere in the room. 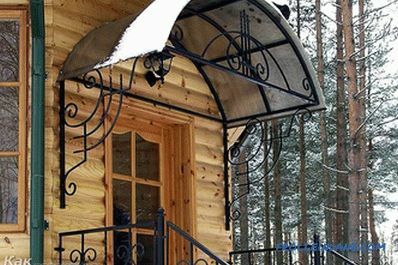 Observance of a single style in the design of the floor, furniture, door and window openings is the basic rule of harmony. As for the choice of colors and textures, it all depends on your taste and preferences. If you have any questions on the topic, ask them in the comments.